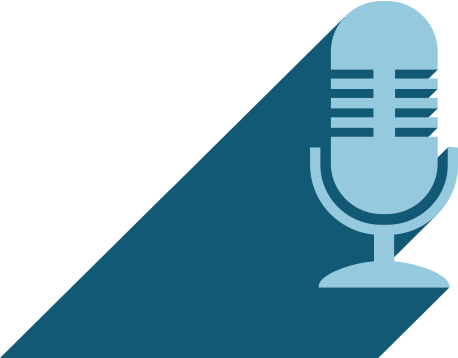 Podcast - Index Fund Advisors, Inc. Some investors like to copy the strategy of famous fund managers. Others try to emulate the endowments of top American Universities. In Part Four of Venkat's interview with Mark Hebner, they break down the uniqueness of IFA and the importance of having an investment advisor. In Part Three of Venkat's interview with Mark Hebner, they discuss the Behavior Gap. In Part Two of Venkat's interview with Mark Hebner, they talk about the uniqueness of Dimensional Fund Advisors. Mark Hebner summarizes the market's performance during the fourth quarter of 2018 and demonstrates the difficulty in picking the next asset class winner. Vanguard founder and indexing pioneer John Bogle passed away yesterday. We wanted to take the time to look back at his impact on the investment world. In Part One of this multi-part interview, Venkat Yarlagadda sits down with Mark Hebner and asks him why he started IFA. Every now and again investors get excited about a new technological innovation which appears to be groundbreaking. People leaving work today will typically spend 20 years or more in retirement. That's a very long time to last without a regular salary. Watch the full documentary of Investing: The Evidence. Sometimes referred to as smart, strategic, or alternative beater; factor investing is based on the multi-factor model developed by two American academics: Eugene Fama and Kenneth French. One of the biggest developments in the investment industry in recent years has been the growing popularity of passive investing. We all need to invest. Nobody knows what the future holds, but a typical lifetime includes some pretty expensive events. It's widely known, at least in the investing industry, that active managers have had a difficult few years. Mark Hebner talks about the wide range of year-to-date returns among the 15 asset classes used in IFA Index Portfolios. Mark Hebner introduces the new Investing Kit. Mark Hebner summarizes the market's performance during the third quarter of 2018 & demonstrates the difficulty in picking the next asset class winner. With the recent market volatility, Mark Hebner wanted to give his thoughts on the instability. An annual study called the Quantitative Analysis of Investor Behavior by Dalbar attempts to measure the impact of investor decisions. Investment committees or plan sponsors tend to hire investment managers with a history of above benchmark returns. One of the problem investors face is what behavioral psychologists call Recency Bias. In other words, they focus on the very recent past and project that indefinitely into the future. The growing popularity of Bitcoin and other cryptocurrencies is raising red flags not just with investment professionals. Of all the behavioral biases people are prone to, one of the most prevalent is optimism bias. We typically assume things will turn out better than they do. Generally speaking, it's good to have a positive outlook on life and to be reasonable optimistic about the future. Broadly speaking, there are three different types of fund you can invest in: active funds, passive funds and funds that give you exposure to certain risk factors. Mark Hebner summarizes the market's performance during the second quarter of 2018 and demonstrates the difficulty in picking the next asset class winner. Some people treat their financial advisor like an order taker. They go to them with preset ideas about what they want, and the advisor's role as they see it is to carry out their instructions. Pascal's Triangle is a number pattern steeped in history. The triangle has been studied for millennia. It was in 1876 in a Victorian workshop rather like this one that Sir Francis Galton constructed a contraption called the Galton Board. There's no point in accumulating wealth just for the sake of it. What matters is what we do with our wealth. You may not have heard of him, but Sir Francis Galton was a Victorian genius. There's been plenty of publicity in recent months about cryptocurrencies. The reason why is they soared in value in 2017. Diversification is sometimes referred to as the one free lunch in investing. When we talk about evidence-based investing, what we are really referring to is academic evidence. It's one of the big philosophical questions, "Can money buy you happiness?" Mark Hebner summarizes the market's performance during the first quarter of 2018 and demonstrates the difficulty in picking the next asset class winner. The fund industry tries to make paying for active management seem like a no-brainer. In Part 5 of this five-part series, the final question is…What should I be doing? It's tough, if not impossible, to know which market segments will outperform from period to period. Financial markets have rewarded long-term investors. Flip a coin and your odds of getting heads or tails are 50/50. Historically, the odds of selecting an investment fund that was still around 15 years later are about the same. Whether you’ve been investing for decades or are just getting started, at some point on your investment journey you’ll likely ask yourself some pertinent questions. One of the most common misconceptions about investing is that the economy and the stock market are perfectly correlated. Yes, they are connected, but it's not that simple. In light of all this market volatility over the last few days, we wanted to remind you of the benefits of being a buy and hold investor. Most investors use actively managed funds. But how well do active funds actually perform? Mark Hebner summarizes the market's performance during the fourth quarter of 2017 and demonstrates the difficulty in picking the next asset class winner. On the go? Take IFA with you. Get your favorite shows automatically downloaded to your PC or portable media player. IFA.tv brings you free video and audio podcasts from IFA.com. Choose from the list of available shows below. To manually download video (m4v) or audio (mp3) files: Right-click on the m4v or mp3 file link to save the file to your computer. IFA.tv provides webcasts explaining the investing strategies of IFA.com and Mark Hebner's book, Index Funds: The 12-Step Recovery Program for Active Investors, with Foreword by Nobel Laureate Harry Markowitz. See the hardcover here: IndexFundsBook.com; Kindle edition here: IndexFundsKindle.com; iBook here: IndexFundsiBook.com; and Nook edition here: IndexFundsNook.com. You can watch in HD on your computer at www.IFA.tv, YouTube.com, iTunes and Vimeo. They also will play on the Kindle Fire, Android Devices, iPhones, iTouch, iPads and with AppleTV and Airplay, you can watch in HD on your TV.